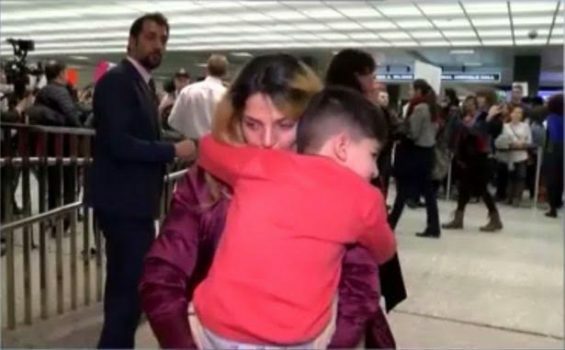 A five-year-old boy who was identified as a US citizen who lives in Maryland, by Senator Chris Van Hollen, was detained and held for more than 5 hours at the Washington DC's Dulles airport on Saturday. He was among the more than 100 travelers who were detained at Washington DC's Dulles airport on Saturday, following President Trump's immigration ban on the seven Muslim countries. Senator Van Hollen has described the act as “outrageous” and that the boy had been held for so long, despite authorities being prompted in advance of his arrival. 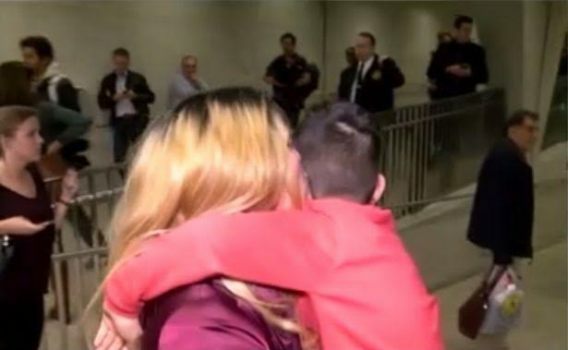 Senator Van Hollen called the treatment of the boy "outrageous" and revealed that he had been held for too long, despite the authorities being notified in advance of his arrival. Upon his release, his Iranian mother was seen showering him with kisses for reuniting with her son again. Rihanna and Chris Brown Hooking Up Again?